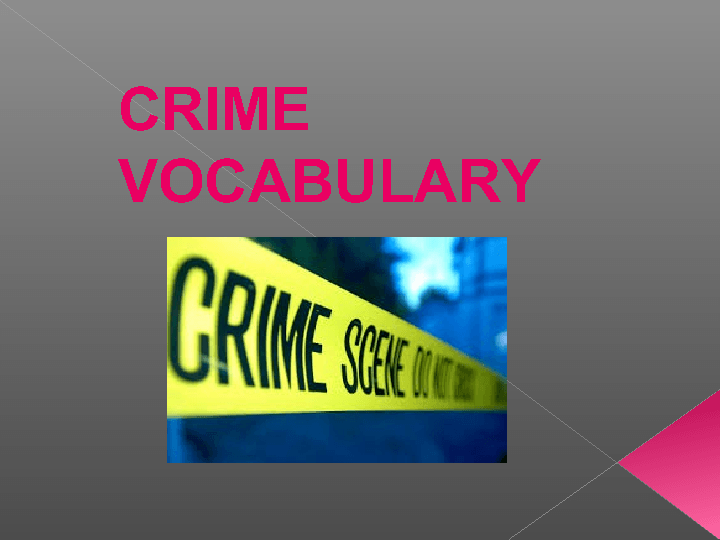 This power point presentaion is to practice crime vocabulary. 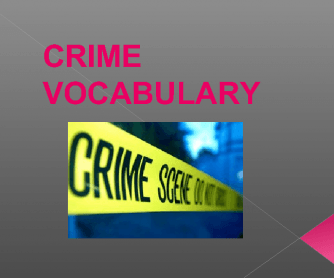 There are 18 pictures with captions that will help your students remember the new vocabulary. There are also some questions to discuss in pairs or with the whole class followed by a police report. Hope you and your students will enjoy it.